You love the beauty of nature! 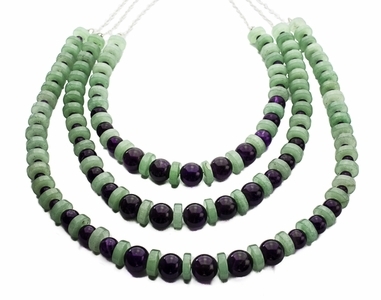 Often called Indian Jade, aventurine with its beautiful shade of green, emotes a sense of peacefulness and beauty. This collection of jewelry created with the genuine gemstone aventurine, includes necklaces, bracelets, pendants and earrings.